If you have money in your balance, you can use the money to pay another Venmo user/friend or you can cash out and send the money to your checking or savings account. From the first picture above, two of my clients paid me for training them. You can add in writing what the money is for or you can use emojis. My clients choose emojis. You can also see what other people in your network are doing. I see friends buying drinks, paying for pizza and cabs and etc. It is a great app for parents, aunties and uncles to send money to loved ones. I just sent my nephew $30 for the weekend. He is a freshman at a university this year and I thought he would love the extra partying cash. 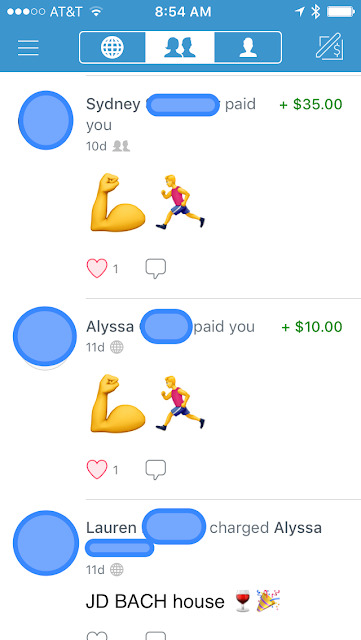 Back to what this post is about, Venmo would be a great fitness accountability aid. If you need extra help getting to the gym or a fitness class, you can partner up with a buddy or a group of friends to hold you accountable. If you don't show up for your workout session and you don't have a good excuse for missing, you would have to pay a fitness fine to your buddy or buddies. It could be one dollar to five dollars or more, you and your fitness pal(s) would have to agree upon the set amount. It would also be important to set a time when you are considered a no-show. At what time would you be considered too late to work out and would have to pay up? These are the rules that would have to be set at the beginning of your challenge. 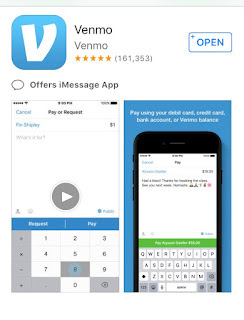 If you need help with getting off the couch or you are just interested in Venmo, read more about them on How It Works page and download the app to your smartphone today.